If you’ve ever freaked out because the boss walked by just as you were updating your OKCupid profile, consider yourself lucky. I popped into the office and the airport to say hello and check in to see what the team are up to. This guy wasn’t up to much at all — I caught him sleeping on the job! Wow, did he get a shock when I woke him up. He must have thought he was dreaming because he went straight back to sleep. To be fair, he was on standby, getting some much needed rest. Perhaps snoozing in full view of the rest of the office when the company founder was due for a visit wasn’t the best idea. 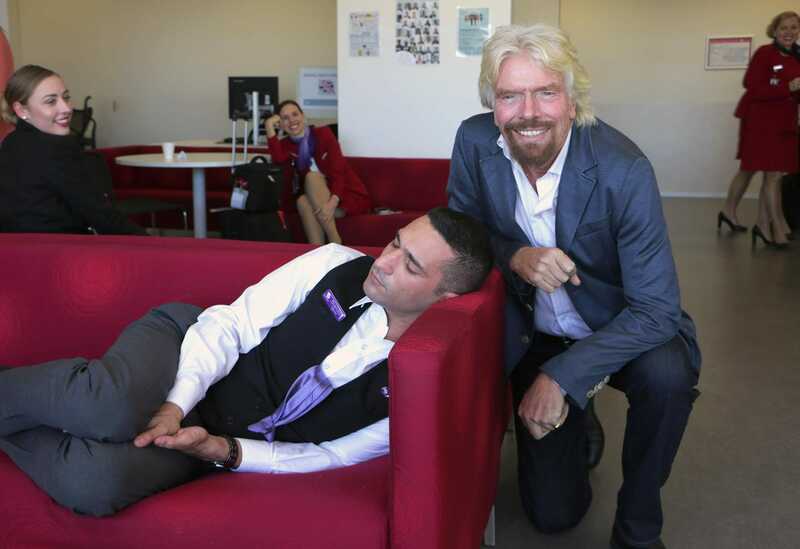 But some psychologists and high-powered execs support napping on the job, provided you do it a bit more discreetly. Arianna Huffington, cofounder and editor of The Huffington Post and author of “The Sleep Revolution,” said that if you don’t have designated nap rooms in your office, you can ask an office manager to make sure that couches are placed in a relatively private spot. “Then have your kit with your earplugs and your eye mask and you can lie on that couch,” she told Business Insider’s Rachel Gillett. You can even bring a yoga mat to sleep on if you can find a private area, Huffington said. Of course, regardless of whether management endorses napping at work, you should always try to get a solid night’s rest, since recent research suggests skimping on sleep can sabotage your productivity.